Professor Emerita at Ramapo College, Dr. Duncan received her B.A. and M.A. from the University of Chicago and Ph.D. from Columbia University. 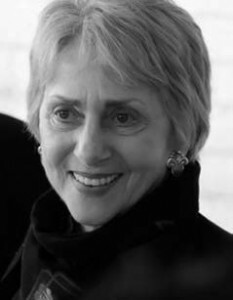 Professor Duncan is well known as one of the pioneers of a new social-political approach to art history and criticism and has been one of the strongest feminist voices in the “new art history.” She chose to create this scholarship endowment to benefit students in Visual Arts. The recipient of the Carol Duncan Scholarship is selected later in the spring semester. “This scholarship validates all the hard work, passion and commitment I have poured into manifesting my dream of a career in the arts,” says Anthony Horta of North Bergen, N.J.
Anthony is a Visual Arts major with a concentration in Electronic Arts and Animation. He graduated with honors from Bergen Community College with an Associate of Arts and is currently on the Dean’s List at Ramapo College with a 3.9 GPA. During his time at BCC, he served as resident graphic designer and board member of Phi Theta Kappa, the international honor society for two year colleges, as Vice President of the Philosophy Club, and as a volunteer with College LEADS and the Honors in Action program. At Ramapo he volunteered as a lab assistant at the 3D printing lab and worked to organize an art exhibition, “Students For Students,” at the Berrie Center. The exhibition brought together the work of artists from Mahwah High School and the experience of Ramapo College art students to discuss what it means to pursue a career in the arts. Outside of school, Anthony has worked as an Administrative Coordinator at Palisades Emergency Residence Corporation in Union City and as an Intake Manager with Garden State CDC’s Supportive Housing Division. He is currently finishing a one year internship in Institutional Development and Marketing at the Newark Museum. Anthony has exhibited his art at Gallery Bergen, Greenpoint Gallery, and has been the recipient of the Michael J. Esposito Scholarship for the Arts in 2016 and 2017. Sara Venusti of Mahwah, N.J. is a Visual Arts major with a concentration in Drawing and Painting. She has been a part of the Visual Arts Society and has had her work published in the Trillium, an on-campus magazine. Cristian Aroca of Dover, NJ is a Visual Arts major with a concentration in Drawing and Painting. He has a 3.78 GPA and has been on the Dean’s List each semester of his college career. At Ramapo, Cristian has helped coordinate and promote the Black Maria Film Festival, a non-profit organization that visits Ramapo each semester to pre-screen contemporary short films. Off campus, Cristian has worked with the Escucha (Listen) Youth Mentoring Program, an organization that works with Latino college students and professionals, the business community, and higher education institutions to create school-to-career programs for Latino youth. João Zago of Kearny, N.J. is a visual arts major with concentrations in drawing and painting, and art history. He has a 3.9 grade point average and has been on the Dean’s List every semester of his college career. At Ramapo, Joao has been involved with several initiatives at the Woman’s Center such as VENT, as well as recent involvement with the Visual Arts Society. He was also the recipient of the 2015 Carol G. Duncan Scholarship. Outside of Ramapo, Joao has interned with Gallery Aferro in Newark, N.J. and volunteered at the Brooklyn Museum. Nicole Piper of Ridgefield, NJ is a Visual Arts major with a concentration in Drawing and Painting. She is a transfer student from Bergen Community College who is a STARS II scholar, a New Jersey statewide program for academically superior students. She impressed her professors with her incredible work ethic and creatively unconventional ideas. Nicole excels in studio and art history classes, expressing complex interpretations about a variety of artists. Upon graduation, she plans to continue her education in either a Master of Fine Art or Master of Art Education program. Nicole has a 3.89 grade point average. Jolie Lang of Westville, NJ is a Visual Arts major with a concentration in Photography. She is a member of the Visual Arts Society and the RC Hammer Ultimate Frisbee Club. Jolie says, “It took me a very long time to find not only something that I was good at, but something I enjoyed doing as well. Art has always meant a lot to me, and throughout college, it really began clicking with me. To be recognized in this way for doing something I love is remarkable. I am so grateful.” Jolie has a 3.88 grade point average. I am very honored to have received this award, and feel that it will give me extra motivation to excel as a Photographer. It always helps when someone appreciates what you do. “For years I have dreamed about watching flamenco on the street, of wandering the small markets, of seeing the Moorish palace conquered by Ferdinand and Isabella,” says Kathryn Lee. Kathryn is a Communication Arts major concentrating in Writing, who also is pursuing a minor in Spanish Language Studies. “Being in Spain I will be able to see for myself all of these things, which will give me an unending amount of inspiration for my writing.” At Ramapo Kathryn is secretary of the Literature Club, co-chair of Relay for Life and has volunteered for a number of activities. She works part time. Kathryn has earned a 3.90 grade point average. She is fromToms River, NJ. Rachel Levin is from Glen Rock, NJ. She is in her senior year majoring in Visual Arts with a concentration in Art History. Rachel has earned a 3.75 grade point average. She has been an intern in New York City at the Museum of Art and Design and the Milk Gallery. “Last fall Rachel did extensive research on the Gustav Klimt’s portraits of women for the Advanced Research in Art History class,” reports Professor Meredith Davis. “I found her to be a pleasure to work with, both in class and outside of class.” Rachel plans to continue her education in art history and library science, and work as an archivist, art librarian or in some other role in the world of art and research. This scholarship gives me encouragement to continue my degree in Art History and a future career in the arts.